New research from road safety charity Brake has highlighted the significant proportion of UK motorists that fail to properly assess the dangers of travelling on icy roads. Overall, seven in ten (71 per cent) drivers surveyed by the charity this month were unable to correctly state the impact of ice on stopping distances for vehicles – 11 per cent believed it to double, one-third felt that it is up to four times as long, and 27 per cent thought it is five times. In reality, ice on the roads can increase stopping distances by up to ten times the norm. Meanwhile, the report also revealed that 61 per cent of respondents believe other drivers do not leave enough space when travelling in adverse weather and 54 per cent think that other motorists drive too quickly when faced with snow and ice. 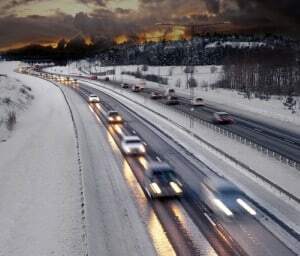 Campaigns and communications director for Brake Gary Rae commented: "Ice, snow, heavy rain and fog make driving incredibly risky; stopping distances double in wet weather and can increase up to ten-fold in ice and snow. "If snow is forecast, we urge people to think about whether their journey is necessary, but if you get caught out driving in bad weather the critical thing is to slow right down and keep your distance." Defensive driving practices are among the best means for ensuring motorists stay safe during adverse weather. This entails road users focusing on matching their speed to the conditions they face and always having the ability to come to a complete stop in the distance that is visible in front of them.